We are a top-notch organization, engaged in providing Lotus Face Wash.
Our company has been successful in winning appreciation from the clients as one of the most prominent names in the trading of Lotus Face Wash For Oily Skin. Our company has been successful in winning appreciation from the clients as one of the most prominent names in the trading of Lotus Herbals Sunscreen Face Wash Gel 80Ml. In order to meet excellent quality standards, we are supplying Lotus Face Wash.
Neem & Clove Ultra-Purifying Face Wash with Active Neem Slices. A Face wash enriched with neem extracts, Active neem Slices and Clove extracts that provides excellent anti-microbial protection to skin. Regular use helps in curing acne, blemishes or eczema prone skin. Provides Clean, Smooth and Nourished skin. Our company has been successful in winning appreciation from the clients as one of the most prominent names in the trading of Lotus Face Wash.
We are a top notch supplier of Lotus Face Wash. 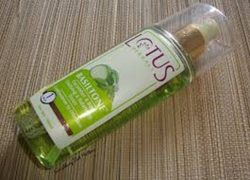 In order to meet excellent quality standards, we are supplying Lotus Teatree Face Wash.
Banking on our enriched industry experience, we are able to supply Lotus Face Wash.